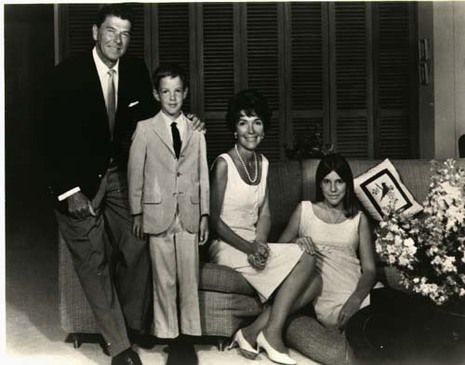 Patti Davis (born Patricia Ann Reagan on October 21, 1952 in Los Angeles, California) is the daughter of former President of the United States Ronald Reagan and First Lady Nancy Reagan. She is the older sister of Ron Reagan, the half-sister of Maureen Reagan, and has an adopted half-brother Michael Reagan. Davis is a former actress and a bestselling author. She was called the black sheep of the Reagan children, and her many conflicts with her parents have been well publicized.